The answer to a more profitable agricultural sector is for farmers to work together, writes Lorraine Gordon, the new director of the federal government's Farm Co-operatives and Collaboration Pilot Program. The answer to a more profitable agricultural sector is for farmers to work together, writes Lorraine Gordon, the new director of the federal government’s Farm Co-operatives and Collaboration Pilot Program. The role of farming in Australia is well-beyond the immediate need to feed, clothe and house ourselves. As the mining industry sags, agriculture is re-emerging as our in-demand export earner. However, its economic importance is more clearly defined in our rural and regional communities. Agriculture represents approximately 3 per cent of Australia’s GDP but it is estimated that the sector represents more than 40 per cent of the GDP of regional economies. Once multiplier effects are taken into account, this is as high as 70 to 80 per cent in most small towns. 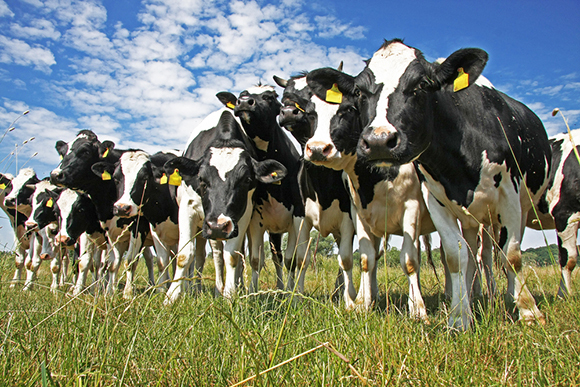 In 2008, ABARE estimated that dairying delivered a regional economic multiplier effect of about 2.5. This prosperity flow-on will be sorely missed at the moment among our dairy-dependent communities. Price volatility, marketplace shifts, drought, floods, pests… the litany of farming challenges are as endless as the capacity of farmers to adapt. As a beef producer, I know I have to farm smarter and leaner. Across the country and across the many commodity groups, farmers have adopted complex new technologies, applied world-leading research and development, upskilled ourselves and our workers, adapted to climate change and boosted water use efficiency. We have worked even harder to use less chemicals and fuel while improving soil health, waterways, biodiversity and revegetation. Stewardship of the land and sustainability of farming practices are part of modern agriculture’s landscape. Now, with support from the federal government, we are turning our attention to a new area of reform: building the capacity of farmers, fishers and foresters to collaborate and claim marketplace power. The answer to a more profitable agricultural sector is for farmers to work together to value-add to their production, to secure premium pricing, to scale-up production, to attract capital investment, to earn new markets or to secure lower input costs. I am leading the national Farm Cooperatives and Collaboration Pilot Program (Farming Together). I left a terrific job to take up the challenge of driving this $14.9 million initiative. I really believe in this program. When it came across my desk I thought “this is a game changer”. The team assembled to deliver this two-year pilot program include experts drawn from a wide range of agricultural fields – some are still actively farming. The program has a national footprint stretching from Western Australia to the Northern Territory with an advisory board of ag-industry leaders. We met with 220-plus farmers and farm advisors in late September to launch the program and its easy-to-use website portal. The initial offering we bring to all farmers is a free consultation – worth more than $1,000 – to discuss their opportunities and appetite to create a successful collaborative group. This could be either as a structured co-operative, as a collective bargaining entity or as a less-formal collaborative group. The opportunity exists for any grouping of at least two ATO-registered farmers who are Australian citizens. Collaboration has long been a vital component of Australian agriculture and Farming Together draws on that fundamental strength. We already have some inspirational groupings that are seeing primary producers become price-makers not price-takers. Farming Together is picking up the winning traits of these groups and sharing them across the country… and we are finding farmers are increasingly eager to participate. Looking at the bigger picture, new free trade deals with China, Korea and Japan are opening up market access for a wide range of our primary products to Asia’s increasingly middle-class – and hungry – populations. We need to build capacity between our farms. We need to shift this dynamism post-farm gate, to secure more control further up the supply chain and to seize the opportunities that exporting offers. Not only could Farming Together turn agricultural industries around, it could revive rural and regional communities and bring greater prosperity across Australia. Farming Together has a vision of regional self-reliance leading to secure returns for agricultural outputs and, eventually, robust firms acting as trusted exporters and regional employers… what’s not to love about this project? About the author: Lorraine Gordon is the new director of the federal government’s Farm Co-operatives and Collaboration Pilot Program a national, two-year $14.9 million program to develop and support co-operatives, collective bargaining groups and collaborations among Australia’s primary producers. 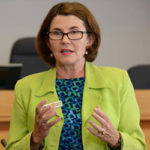 The co-initiator of the successful Ebor Beef Co-operative, she is the former NSW Rural Woman of the Year and CEO of Regional Development Australia (RDA) Mid North. Lorraine Gordon is the new director of the federal government's Farm Co-operatives and Collaboration Pilot Program. Profit and people: Is that possible?